Federal education grants are funds distributed by the United States government to students who need assistance paying for college. Federal grants do not need to be repaid. If this is not your first enrollment period at Lone Star College and you received Title IV financial aid, your refunds for course withdrawals are calculated according to the Title IV refund guidelines. Title IV financial aid includes Federal Pell Grants, Federal Supplemental Educational Opportunity Grants. sign statements on the Free Application for Federal Student Aid (FAFSA) stating that you are not in default on a federal student loan and do not owe money on a federal student grant and you will use federal student aid only for educational purposes; and show you’re qualified to obtain a college or career school education by having a high school diploma or a recognized equivalent such as a General Educational Development (GED) certificate or completing a high school education in a homeschool setting approved under state law. 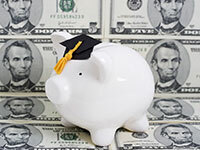 Federal Pell Grants cover up to $6095 for the 2018 -2019 year. The amount of federal Pell Grant funds you may receive over your lifetime is limited by federal law to be equivalent of six years of Pell Grant funding. Since the maximum amount of Pell Grant funding you can receive each year is equal to 100%, the six-year equivalent is 600%. The U.S. Department of Education uses a standard formula, established by Congress, to evaluate the information you report when you complete the Free Application for Federal Student Aid. How much you get will depend not only on your EFC but also on your cost of attendance, whether you attend full-time or part-time and whether you attend school for a full academic year or less. A student may only receive the Pell Grant from one school at a time. 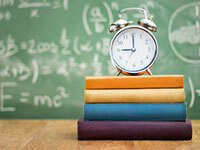 The U.S. Department of Education (ED) compares the actual amount you received for the award year with your scheduled award amount for that award year. If you receive the full amount of your scheduled award, you will have used 100%. It’s possible that you might not receive your entire scheduled award for an award year. If you did not receive the full amount of your scheduled award, (ED) calculates the percentage of the scheduled award that you did received. ED keep track of your LEU by adding together the percentage of your Pell Grant scheduled awards that you received for each award year. For example, If you did not receive the full amount of your scheduled award, we calculate the percentage of the scheduled award that you did receive. For example, if your scheduled award for an award year is $5,000, but because you were enrolled for only one semester you received only $2,500, you would have received 50% of the scheduled award for that award year. Or if you received only $3,750 for the award year because you were enrolled three-quarter-time and not full-time, you would have received 75% for that year. ED keeps track of your LEU by adding together the percentages of your Pell Grant scheduled awards that you received for each award year. The table below shows examples of the LEUs of three students who received differing amounts of their scheduled awards over a four-year period. Note: From 2009-2012 through 2010-2011, it was possible for a student to receive up to two scheduled awards in a year. So some students will have a "percent used" of up to 200% for one or more of those years. Of course, if a student's LEU equals or exceeds 600%, the student may no longer receive Pell Grant funding. Similarly, a student whose LEU is greater than 500% but less than 600%, while eligible for Pell Grant for the next year, will not be able to receive a full scheduled award. register with the Selective Service, if required (If you are male 18-25 years of age and you have not yet registered with Selective Service, you can give Selective Service permission to register you by checking a box on the FAFSA. Register for Selective Service. The following grants are state programs for credit courses. Some eligible programs may be partially funded based on need. Have a 9-month Expected Family Contribution of no more than $5,609. Are not currently receiving a TEXAS Grant. Students who continue in college and who meet program academic standards can receive awards for up to 75 semester credit hours, for four years, or until they receive an associate's degree, whichever comes first. The academic requirements for continuing in the program are: At the end of the first year, the student must meet the school's Satisfactory Academic Progress (SAP) requirements. At the end of the second year, the student must complete at lease 75 percent of the hours attempted in the prior academic year and have an overall college grade point average (GPA) of at least 2.5 on a 4.0 scale. The following grants are designated for workforce education and training. Through the Texas Workforce Commission (TWC) Skills for Small Business program, up to $2 million from the Skills Development Fund is dedicated to the backbone of Texas' business community—our small employers. Small businesses can apply to TWC for training offered by Lone Star College. TWC processes the applications and works with the college to fund the specific courses selected by businesses for their employees. This exceptional opportunity supports businesses with fewer than 100 employees, and emphasizes training for new workers though it also may help upgrade the skills of incumbent workers. Please contact Lone Star Corporate College at CorporateCollege@LoneStar.edu for more information. The program offers free training to increase business competitiveness, upgrade the skills of current employees and prepare newly hired employees for job requirements. The program is in partnership with the Office of the Governor to further establish Texas as the premier place to support and expand the state’s small businesses. Student must be a full-time employee of a company with less than 100 employees. Tuition and fees (with exception of books p to $1,450 per year per student. Students can register for any class (credit or non-credit) that will increase their effectiveness at their jobs. Workforce Solutions scholarships support training for some of the region's high-skill, high-growth occupations. If you're interested in one of these careers, Workforce Solutions may be able to contribute to a financial aid package. Programs approved on the Gulf Coast Workforce Board’s High-Skill, High-Growth Occupations list. The Wagner-Peyser Grant provides Fast-Track Non-Credit NCCER Pipefitting program for 90 students at Lone Star College-North Harris campus only. The grant covers tuition, textbooks, and supplies and is managed through the Office of Continuing Education. Be a United States Citizen OR a noncitizen authorized to work in the U.S. If male, meet U.S. Military Selective Service registration requirements. Legendary rock band Metallica awarded Lone Star College $100,000 to enhance its career and technical training. The grant is provided by the band’s All Within My Hands Foundation. The Metallica Scholars grant is provided by the band’s All Within My Hands Foundation in partnership with the American Association of Community Colleges. In all, Metallica awarded a total of $1 million in grants to 10 community colleges across the country to assist more than 1,000 students in obtaining training and help them enter the workforce. Each program has varied program and eligibility requirements.